Cobra Interview December 2017. By International Golden Age Group. The year 2017 is so intense and all lightworkers around the world have completed many remarkable achievements which have never been done before. Untwine: How do negative ions effect plasma fields ? Untwine: Are electrons composed of smaller particles ? Untwine: Are quarks or electrons, the permanent atom of the highest etheric sub-plane ? Untwine: So those permanent atoms are inside the quark or electrons or? Untwine: Are all particles actually waves? Untwine: Some have described that matter of personality bodies that has been redeemed is retributed to the causal body or causal energy field, which then strengthens the aura, could you talk about this? Cobra: It is not transmuted to the causal body, I would say the anomaly is removed from that matter and then the Light forces can translate or transmute that matter to any dimension they want. Untwine: So then the causal body flows better into the personality bodies? Untwine: Ok. So what is its purpose? Cobra: It is simply a body that, I would say is a bridge between entropy and syntropy, it’s a bridge between higher and lower dimensions of the cosmic physical plane. Untwine: And so it is in the higher mental plane? Cobra: If you look at it from above it’s the second third and fourth sub-plane of the mental plane. Untwine: And the soul is on Atmic plane? Untwine: At what plane do twin souls split? Cobra: On the first sub-plane of the mental plane (if you look from above). Untwine: At what plane are tachyons created? 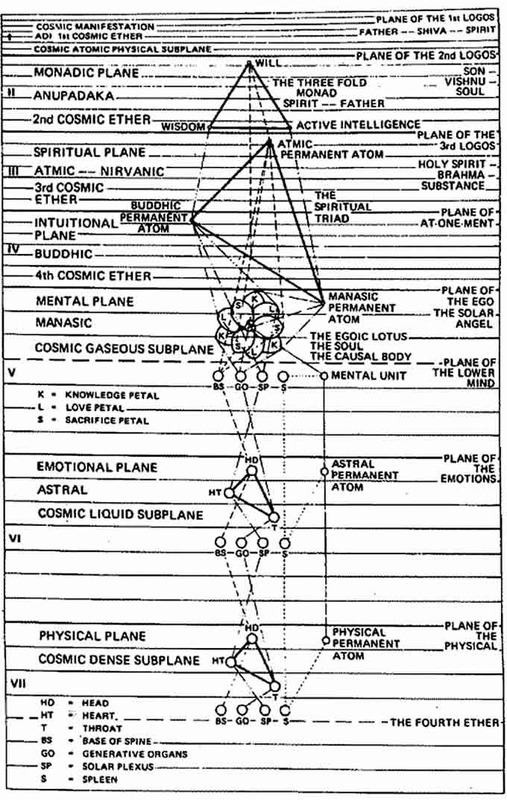 Cobra: The tachyons are created in the Source and they emerge from the highest sub-plane of the cosmic physical plane into this Universe, that’s the Adi plane. Untwine: Ok so do they also exist inside the Source? Untwine: When we are observing the quantum level from the physical plane, are we still looking at the physical or are we looking at a higher plane? Cobra: It depends on the quantum phenomena you’re observing, but mostly you are observing the physical plane, and sometimes you are observing the plasma or even etheric plane. Actually certain quantum observations will be the official scientific discovery of the etheric plane, in the future when the cabal will lose its control over this process. Untwine: So the quantum level is existing at all planes simultaneously? Untwine: Can the etheric body travel away from the physical body like the astral does? Untwine: Is all matter on all planes simply made of densified Light? Untwine: What is the purpose of the atmic plane? Untwine: How would you differentiate the inner spiritual will and the free will? Cobra: Inner spiritual will is a reflection of the will of the soul, whereas free will is a combination of that inner spiritual will and will of all sub-personalities combined. Untwine: Would you say that all matter from higher planes is present inside the physical matter? Cobra: I would not say parallel dimensions because this brings up wrong mental associations, I would say it’s present everywhere but in a more refined state. Patrick: Is asteroid Oumuamua really an alien spaceship? Patrick: If we can send tachyonized goshenite, cintamani stones and sugilite onto Low Earth Orbit, can they assist the removal of plasmatic wormlike entities and yaldabaoth? Patrick: Ok we’ll try. Did our global winter solstice meditation reach critical mass and bring significant results? 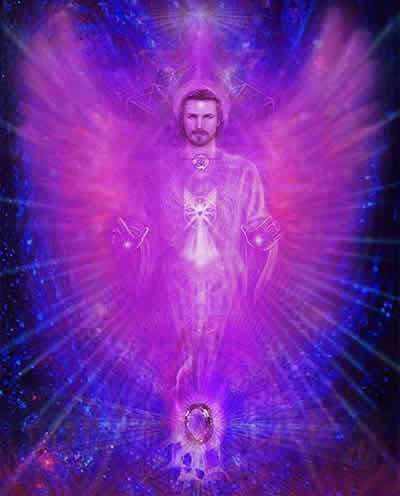 Patrick: As light forces are gaining more and more progress, do they provide more protection to lightworkers and lightwarriors? Cobra: More protection will be available when the Light forces are able to have more direct access to the innermost layers of the anomaly, close to the surface of the planet. Patrick: How does the Resistance Movement review the overall performance of lightworkers on the surface in 2017? Cobra: I would say that the Resistance Movement understands that the Lightworkers have been under extreme stress on the surface of the planet, and there have been some major victories that have been organized by the lightworkers, some mass meditatons which have reached the critical mass and basically they have prevented world war 3 on the physical plane and they have prevented some very negative things from happening so this is the overview of the situation, from the perspective of the Resistance. Patrick: Does Primary Anomaly above the fifth dimension which manifested as absence of intel and answer still exist? Cobra: This still exists in a certain way, not directly for the Ascended beings in the same way as it was before, but still they are not having complete understanding of the primary anomaly, and how it will react to the inflow of Light, for this reason it is very difficult to predict how situations will unfold. 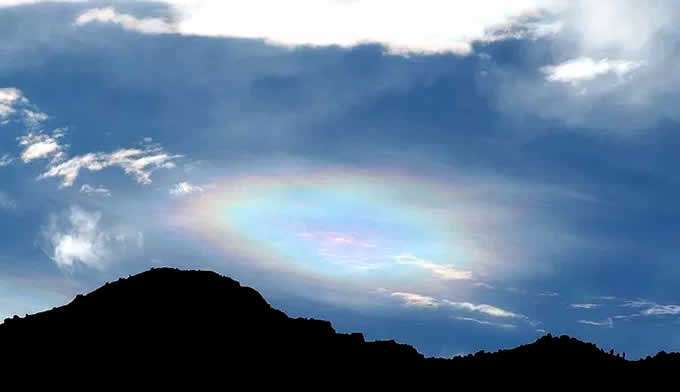 Patrick: A special rainbow appeared at Mount Wǔtái few days ago. You said that is a PleiadianLiquid Light Ship. Can you talk about why the Pleiadian demonstrated their Liquid Light technology on this Tuesday? Cobra: It is simply because there was a lot of, I would say activity of the surface Lightworkers, that have put a strong Cintamani stone grid over China and Taiwan, and for this reason the Light forces Pleiadian ships can much more easily manifest in that area. 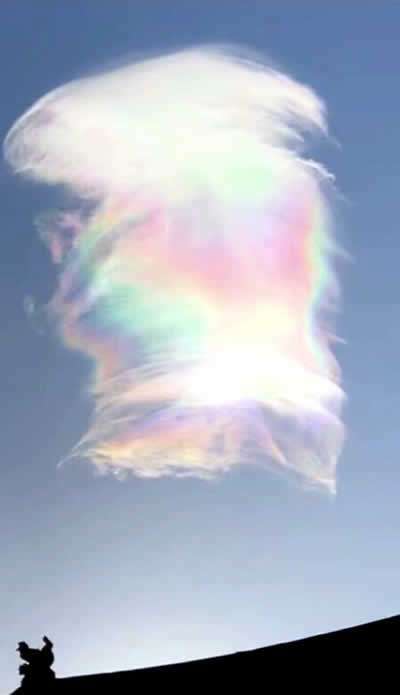 A very impressive and beautiful video of the appearance of this cloud-ship can be seen here. Patrick: Globally speaking, do we enough awakened lightworkers as the catalyst of triggering the Event? Cobra: Yes when the time is right. But the conditions are not right, it’s not about the number of Lightworkers… I would say they are ready. But there are other things that are not ready, basically the conditions of the plasma plane, the toplet bombs, that is absolutely not ready. Patrick: Was there any occult reason behind the China -India boarder standoff? Patrick: You mentioned that the cloning facility under Long Island is already cleared out; does it mean that Long Island is finally liberated from Chimera’s control? Cobra: It is much better but not fully liberated yet, I would say 85% liberated. Patrick: Is the Archon living in Macau still in need of our concern, such as burying cintamani stones there? Patrick: Now that the Syria Pentagram is officially liberated, what should we lightworkers do to help light forces make the best use of its goddess vortex? Cobra: Syria is not completely liberated yet, the 5 points of the pentagram are liberated but there are still, I would say anomalous groups creating terrorism there, so Syria is still very much in need of Peace and healing. I would say that can be the main focus, to send energies of Peace and healing to this region. Patrick: Petit Trianon is a European palace full of goddess mystery and goddess energy, would you please name its counterparts in Asia? Patrick: Would you please name some Asian relics which have positive geopolitical influence as Crown of St. Stephen? Cobra: There is a certain samurai sword in Japan, and the Emerald Buddha, not the public one, an Emerald Buddha kept privately made of real Emerald. There are many other such power objects in the hands of Agartha in Asia but not on the surface. Patrick: If we successfully heal Grozny in 2018, will such success significantly boost the progress of the Event and mass arrest? Cobra: It will heal this area, which is important, but I would say it is not one of the planetary triggers. Jedi: We have heard many people claiming they are mind-controlled or being spied. What can we do to help them solve such problems? Cobra: Basically everybody is being spied on, the whole phone network is all tied together, so I would suggest not put too much attention on this and focus on more positive things. Jedi: You said the animals and plants on Earth belong to collective consciousness, is there any animal or plant on Earth possessing individual consciousness? Jedi: Do dolphins living in Sirius belong to collective galactic consciousness as well? Jedi: Is there ancient civilization or operating base in Greenland? Jedi: Is the haze problem in China related with the cabal? Cobra: Haze is caused by bad urban planning and misuse of resources. Jedi: Does negative plasmatic field worsen the haze? Jedi: We have buried nearly 3000 cintamani stones around China this year. Coincidently, the haze in Chengdu, Shanghai and Beijing significantly decreases. Is this phenomenon related with the clearing effect of those cintamani vortexes? Jedi: Do no life objects such as computer, cup or spoon have energy bodies? Cobra: They have plasma and etheric bodies, but astral and above pretty much zero. Jedi: Is it possible for non-physical entities to harass or threaten humans in their dreams? Jedi: How can we help that? Jedi: Sometimes, I don’t get good result by following my inner guidance. Can you elaborate how does genuine inner guidance feel like? Jedi: What should we prepare in order to get funded by the St.Germain Trust? Patrick: Was French Revolution in fact a cabal’s political scheme against the rise of Goddess Mystery of French royal court? Patrick: Did Marie Antoinette really live a very lavish lifestyle or stories about her private life were actually cabal’s smear campaign against her as a goddess priestess? Cobra: She did have a lavish lifestyle but there is nothing wrong with that, and yes it was used as a smear campaign by the dark. Patrick: United States Air Force was founded in 1947, while Hubertus Strughold was recruited as a high ranking medical expert for USAF via operation paperclip at the same year. Does this fact imply that Strughold is perhaps the first chimera agent inside USAF? Patrick: Chinese Civil War from 1945-1949 caused a regime change in China. Was this war a proxy war between the light forces and the cabal? Cobra: Yes. It was Jesuit’s plan to take over China via China Communist Party. Patrick: Which party won the ultimate victory in this war, the light forces or the cabal? Patrick: The dragon groups moved their stronghold to Taiwan in 1949. The Nationalist government retreated to Taiwan in the year. Did Chiang Kai-shek have connections with dragon groups or other light forces so that he made such decision? Patrick: Can you elaborate the identity of Merlin and his connection with lightworkers? Patrick: Is it true that King Arthur is the offspring of Jesus? Patrick: What is King Arthur ‘s mission in his age? Patrick: You mentioned that Primary Anomaly has existed in many universes before this one. Does it mean that Primary Anomaly has existed for eons? Patrick: Did dark forces exist in previous universes? Patrick: How did all previous universes disappear? Patrick: Did lightwarriors and starseeds on Earth assist the clearing and transmutation of Primary Anomaly in previous universes? Patrick: Star War: the Last Jedi released on last Wednesday. Would you like to talk about the relationship among the Galactic War, the Jedi and starseeds? Cobra: The Star Wars movies have put part of Galactic history into a movie, and it’s also a story about right now, about our lives right now. Patrick: Have Central Civilization come to China for anchoring Goddess energy? Patrick: Please name three top goddess vortexes in China and Taiwan. Patrick: Trump recently signed an executive order to bring American people back to Moon. Should we bury a tachyonized aquamarine at JFK Space Center to help USA manifest this vision? Patrick: As my group has almost completed the third phase of cintamani grid project which cover most caves and infrastructures in Taiwan and China, what places should my group focus next year for our cintamani missions? Patrick: As our monthly online ray healing session is getting more and more popular among lightworkers worldwide, can we expand our monthly ritual of abundance to the international level? Patrick: Would you recommend any reliable reference information about leylines so that we can bury cintamani stones upon those leylines? Cobra: I will send you a map via email. Patrick: How should we connect with Master Kuthumi in order to become a better healer? Patrick: Is Master Kuthumi same as the Medicine Buddha? Which stellar system is he from and he is in which dimension now?